Michael & James ★. . Wallpaper and background images in the James McAvoy and Michael Fassbender club tagged: james mcavoy michael fassbender mcfassy comic con 2013. 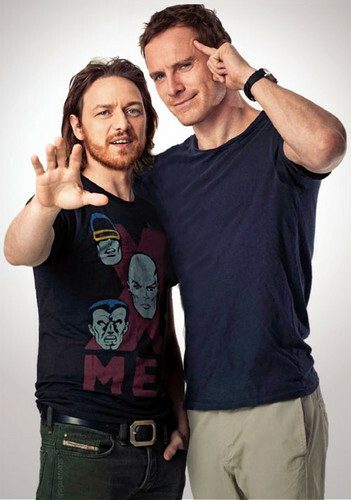 This James McAvoy and Michael Fassbender photo contains jersey, t shirt, and tee shirt. There might also be short sleeve, leisure wear, polo shirt, and sport shirt.